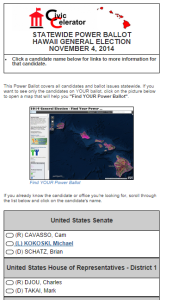 Royce Jones has just released the General Election Power Ballot. 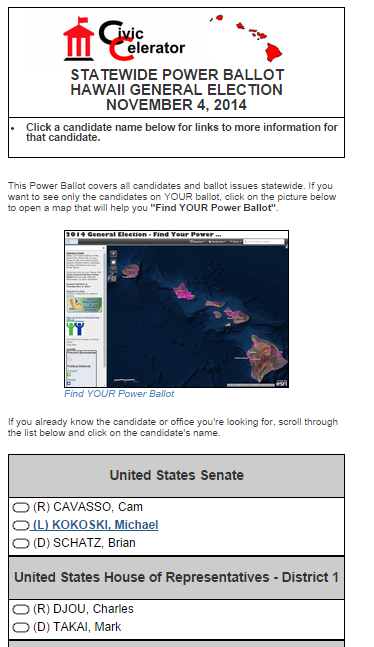 This interactive ballot not only allows you to find information on candidates, but also ballot initiatives in one convenient location. Try it for yourself and help us spread the word about this great resource. This entry was posted in Uncategorized by Burt. Bookmark the permalink.